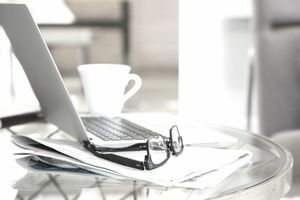 Email newsletters are a great component of email marketing that can help you forge relationships with your readers, boost brand recognition, and increase your credibility as an expert in your industry. If you are new to email marketing, there are some things you should avoid to make your email newsletters as effective as possible. Making It Difficult to Unsubscribe: Let's start with a biggie. Not only can hiding or excluding the unsubscribe link get readers to complain and think of your brand in a negative light, but you can also get into a lot of trouble (like being blacklisted by your email marketing platform) if you violate CAN-SPAM regulations. Include a clear and easy-to-find unsubscribe option in every message. Triggering Spam Filters: While we're talking about spam, make sure your messages aren't setting off spam alarms and never making it to your recipients' inboxes. This guide from MailChimp lists some of the most common spam triggers you should avoid. Not Promoting the Newsletter: One goal of email newsletters is to build your email list. It"s not a case of "build a newsletter and subscribers will come." You have to be very proactive about building your list. You can do this by promoting your newsletter on your website and social channels, and by including the link in your email signature and marketing materials. You may also want to activate the public archive feature that many email marketing platforms have available for users. It will create a list of all of your past issues you can link to in the future. Using the Same Subject Line Every Time: Your subject line should reflect the contents of your message, so readers are enticed to open it and are not disappointed once they do. Your From line, however, should remain the same (either your name or the name of your business), so readers get to know your name and recognize your messages in their inbox. Not Using an Email Marketing Platform: The days of using Gmail, Outlook or your email client of choice to send marketing messages is over. Not only is this unprofessional, but it isn't trackable, so you will never know if your messages are being opened or your links being clicked. It can also get your IP address and email accounts blocked from other providers because they will view your messages as spam. Email marketing platforms are the smartest way to go. Skipping the Email Test: If you send HTML email messages, it is imperative that you test your messages on a variety of email clients to make sure the messages look like they are supposed to and that all of your links work. You should also test your messages on multiple platforms, including mobile devices. Your email marketing platform may include a testing feature. You can also use a service like Litmus, that will test emails on your behalf across more than 30 email clients and devices. Sending Messages on an Inconsistent Basis: You should have a consistent schedule for your email newsletters. Whether you send your newsletter weekly, biweekly or monthly, it should be sent on the same day, around the same time. Timing matters. If you send email newsletters too often, you may have a number of readers unsubscribe because it's just too much. If you send very infrequently, however, your subscribers may forget about you and automatically mark your message as spam because they simply don't remember what it is. Forgetting to Review Your Reports: A good email marketing platform will include a reporting function that provides invaluable insight into your subscribers and the performance of your newsletters. You can see how many times your message was opened, how many times it was clicked, what links were clicked, and how many subscribes and unsubscribes you're receiving. You can use this information to improve your email newsletters over time. Now that you know some of the not-to-do's of email marketing, you can start your next campaign with a clean slate. Use the list above as a checklist that will improve the overall effectiveness of your email marketing messages.